By giving you independent access to its front and rear diaphragms, this intriguing mic lets you change polar patterns after recording! 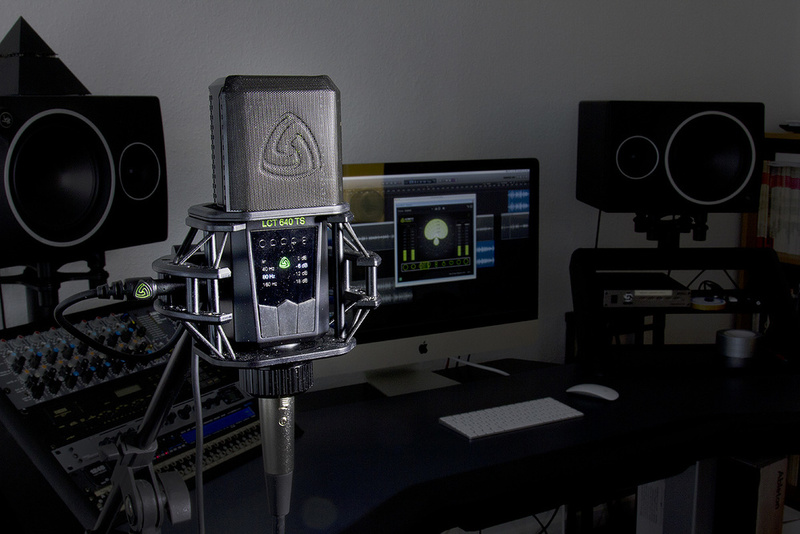 In only eight years, Lewitt Audio have become a serious force to be reckoned with in the professional microphone market, having developed an extensive range of microphones for high-quality recording, live-sound, and other applications. The design effort is based in Vienna, Austria, while the manufacturing is done in the Far East to very high standards, and many Lewitt models have already featured in the pages of Sound On Sound. Of particular relevance to this review, though, is Paul White’s evaluation of the LCT 640 (August 2012), a large-diaphragm, solid-state capacitor model from the company’s LCT recording range. In brief, this microphone was designed as a versatile all-rounder, with an adjustable polar pattern and comprehensive pre-attenuation and filtering options — all switched electronically via a very elegant user-interface. The subject of this review is an even more versatile sibling called the LCT 640 TS, which is derived directly from the original model and shares all the same core functionality. In fact it could be used interchangeably with it, the only practical difference in that context being a higher sensitivity (more later). However, the reason for the ‘TS’ suffix relates to its modified internal electronics and the addition of a mini-XLR output socket on the side of the microphone body. ‘TS’ is an abbreviation of ‘Twin System’, which means that the front and rear capsule signals can be accessed independently via their own separate outputs. This allows the overall polar pattern to be created and adjusted remotely, simply by altering the relative level and polarity of the two output signals. 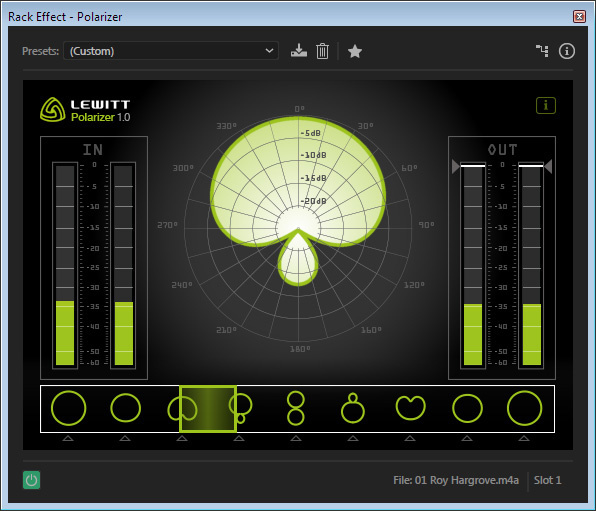 Moreover, if the two outputs are recorded separately the polar pattern can be changed in post-production. And an interesting side benefit is that it’s even possible to create some quasi-stereo effects from the single microphone, too. More of all that in a moment, but first I should provide an overview of the mic’s core features. The microphone is shipped in a tough, black plastic, ‘military-grade’ Peli-style case with a foam liner. Inside the case is a faux-leather protective bag for the mic itself, a cat’s-cradle shockmount (with a 3/8-inch adapter), a push-on pop shield, a foam windshield, and a mini-XLR to standard-XLR adaptor cable, which gives access to the secondary output. A rubber bung is also included to seal the mini-XLR socket when not in use. The pop shield is worthy of further comment as it is quite unusual, being made from two spaced layers of a stiff, perforated plastic, with an open rectangular frame extending perpendicularly at the base. At first I was at a loss as to how this mounted on the mic, as the open frame is rather larger than the mic’s body. However, it started to make sense once I had installed the mic into the shockmount, as the frame is the same size as the inner cradle. So I lowered the frame over the mic’s grille, still wondering how it could be secured, when it snapped magnetically onto the top of the shockmount! That’s a very elegant solution — top marks for engineering cleverness to Lewitt — and it seems to work very well as a pop shield in practice, too. Examining the mic more closely, it is built around a pretty conventional one-inch dual-diaphragm capsule, albeit with a fluorescent green frame, and featuring centre-terminated, three-micron gold-sputtered Mylar diaphragms front and rear. The FET impedance conversion circuitry requires standard 48V phantom power, drawing modest 5.1mA of current. 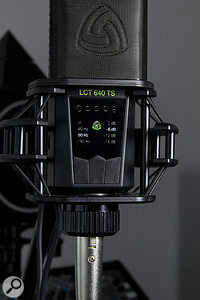 Measuring 158 x 52 x 36 mm and weighing 425g, the LCT 640 TS is very similar in size to the well-known AKG C414XLS, but noticeably heavier, probably down to the use of a die-cast zinc body. With a durable black finish on both body and grille, the mic is quite understated — or it would be were it not for Lewitt’s characteristic fluorescent green logo and model number! The mic’s polar-pattern, pad and high-pass filter options are set via a front-panel menu system.As I mentioned earlier, the LCT 640 TS can be used as a perfectly conventional single-output multi-pattern mic, just like its sibling, and in that working mode the output signal is obtained in the usual way via the standard XLR at the base of the mic. As with the original model, the front of the mic carries all the status indicators and controls: the middle of three buttons cycles around the five polar pattern options (omni, hypo-cardioid, cardioid, super-cardioid, and fig-of-eight), while the right-hand button selects pre-attenuation (0, 6, 12, or 18 dB) and the left-hand button implements high-pass filtering. There are two anti-rumble filter options with 12dB/octave slopes turning over at 40 and 80 Hz, plus a gentler 6dB/octave filter with a turnover at 160Hz intended to counter unwanted proximity effect. The Lewitt logo is normally illuminated white when the mic is powered and operating in this standard mode, but flashes red if the mic has been overloaded (in which case the circuitry automatically engages the appropriate pre-attenuation). Additionally, the light is extinguished if the controls are locked to prevent accidental operation (locking is achieved by pressing the right-hand button for more than two seconds), and changes to green if the dual-output mode is enabled by pressing the centre button for more than two seconds (the polar pattern indicator is also turned off). In this condition the front diaphragm’s signal is presented at the mic’s standard XLR output, while the rear’s is accessed via the mini-XLR on the side of the mic. Both connections require phantom power as the respective diaphragm’s impedance converters are completely separate. Checking the published specifications, the equivalent self-noise figure for the LCT 640 TS is given as 10.5dB SPL (A-weighted) with a maximum SPL of 133.8dB (for 0.5 percent distortion and no pre-attenuation). Switching in the maximum pre-attenuation takes that to over 150dB SPL, which should handle most things — but it’s interesting to note that the original LCT 640 can manage 12dB more SPL! Taking the self-noise and max SPL figures together indicate a dynamic range capability of 123.3dB — which is very good (and more than most 24-bit converters), but still roughly 12dB less than the standard LCT 640 version. The likely reason for this new model’s reduced peak SPL and dynamic range performance is that it has a significantly higher sensitivity that will make the mic more usable in practice, requiring less gain from the mic preamp and thus probably giving lower overall noise. To put some numbers on this, the standard LCT 640’s sensitivity ranges between 9-13 mV/Pa (depending on polar pattern), whereas the new TS model delivers between 30-34 mV/Pa, making it around 8 to 10 dB hotter. 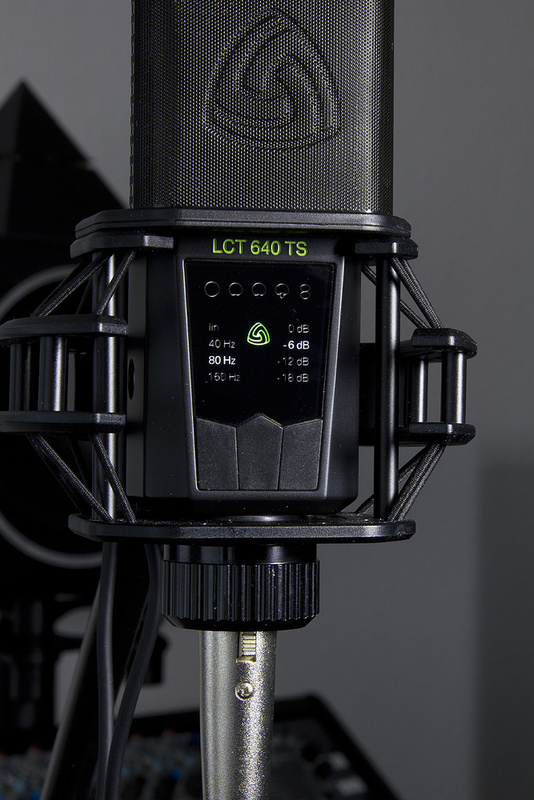 So, although it has an increased sensitivity and slightly reduced maximum SPL capability, the LCT 640 TS can be used in exactly the same way as its excellent sibling, and it still makes a very versatile and high-quality, general-purpose, studio mic. But it is the provision of separate outputs for the front and rear diaphragms that obviously sets this TS version apart and brings a whole raft of new possibilities. The secondary output is accessed via a mini-XLR socket on the side of the mic. To make use of the dual-capsule mode, the two outputs need to be connected to a pair of identical preamp channels with identical gain (and both providing phantom power). These two signals could be recorded for later processing, or processed live using nothing more exciting than a couple of faders, a polarity reversal switch on at least one of the channels, and a mixing bus. As with almost all dual-diaphragm mics, the raw outputs from each section equate to forward- and backward-facing cardioid patterns, and by mixing these signals together with different levels and polarities you can create myriad polar-pattern responses. For example, fading the rear capsule out completely leaves a forward-facing cardioid, while mixing in the rear capsule at the same level as the front capsule gives an omnidirectional polar pattern, and flipping its polarity gives a figure-of-eight polar response. The interesting patterns come when the rear level is different to the front. For example, knocking the rear capsule’s level back by about 10dB, but with the same polarity as the front capsule, gives a hypo-cardioid (wide-cardioid) pattern, and flipping the polarity gives a super-cardioid pattern. And of course, intermediate levels give all manner of intermediate polar patterns facing forwards or backwards! The free Polarizer plug-in, with which it is possible to alter the mic’s pickup pattern post-recording.It’s all very simple and straightforward really, whether the signal combining is performed on an analogue console or in the virtual mixer of a DAW, and either live or in post-production. 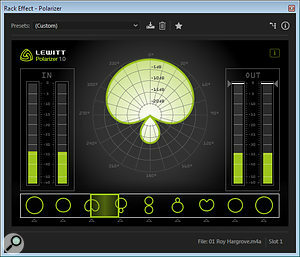 However, for even greater simplicity Lewitt offer a free-download plug-in called Polarizer, which implements the level adjustment, polarity flipping, and summation automatically while also displaying the resulting polar pattern. (The plug-in is Mac and Windows compatible with AU, AAX, VST32 and VST64 formats). To use the plug-in, the two output channels from the mic preamps are routed to the two inputs of the plug-in, and the user just has to slide a horizontal bar along to create the required polar pattern (and facing direction). However, things get even more interesting if the mic signals are duplicated and passed to multiple instances of the plug-in, making it possible to generate several different simultaneous outputs with different polar patterns from the one microphone! One suggested application for this is to create a stereo array from the single mic, rigging the mic side-on to the sound source and using one plug-in to create a directional pattern facing 90-degrees left while another creates the same pattern facing 90-degrees righ. You then have a coincident array of ‘back-to-back’ directional mics and a wide stereo effect. It’s even possible to create a Mid-Sides array, again with the mic placed side-on to the sound source. In this configuration one plug-in creates a sideways-facing fig-of-eight polar pattern for the Sides signal, while a second plug-in creates an omni pattern for the Mid signal. These derived M-S outputs can then be decoded in the usual way to give the equivalent X-Y stereo output — and in this case that would be the equivalent of back-to-back cardioids — which is what it really is, of course! Inevitably, there is no possibility of creating different polar patterns for the Mid mic element because there is no forward-facing diaphragm, but it’s an interesting option nevertheless. Quality-wise, the inherent nature of the dual-capsule structure also means that central sound sources picked up exclusively on the (virtual) Mid mic will also lack extreme top-end because of the imperfect omni polar pattern created from the back-to-back cardioid capsules — but for many sources that probably won’t matter, even if it is noticeable. For me, though, the real strength of this microphone is in its ability to allow real-time and/or post-production adjustment of the polar pattern when using the microphone in a more conventional role. For example, being able to move smoothly from omni through to figure-of-eight not only has an audible effect on the character of the direct sound (mainly because of the proximity effect), but also changes the sense of perspective (ie. room-sound contribution), and any spill from other sound sources. For the ultimate mixing control-freaks, by automating the relative levels and polarities of the two outputs in a DAW, the polar pattern can be changed for choruses and verses to give subtly different tonal characters, or even to balance the proximity effect on a syllable-by-syllable basis as a vocalist moves closer to or farther from the mic during a performance. For the more sane amongst us, it’s just nice sometimes to be able to fine-tune the polar pattern from the monitoring position’s sweet-spot in the control room. As for the overall sound character, I’d say that the LCT 640 ST is much like its sibling; it sounds very smooth and clean, but has a nicely detailed and open, airy top end, largely thanks to a gentle presence lift from about 2kHz building to about +5dB by 14kHz. Above that the response tails off slowly and smoothly. To my ears this sounds like a very classy mic, with no impression of harshness at all, and the low end is nicely balanced too with a reasonably full but not bloated character, and the typically moderate proximity effect associated with a dual-diaphragm capsule. The mic handled all the loud transients I could create without any hint of coloration or strain — and I like its ability to implement pre-attenuation automatically should the need arise. There’s not much variation in frequency response across the different polar patterns, although the presence peak does seem to become a little higher and slightly stronger when switched to the omni pattern, and a bit less obvious for the figure-of-eight pattern. But these are quite subtle changes that you’d only notice on a direct comparison. Overall, I was reminded of the AKG C414’s versatility, although in a direct comparison the Lewitt has a little more presence and slightly sharper transient edges. 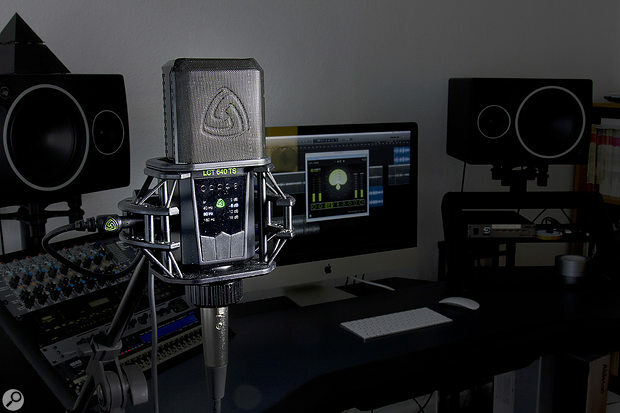 Lewitt’s offering of a dual-output mic is not unique; several other manufacturers do the same thing (see ‘Alternatives’ box), but all provide the outputs via five-pin XLRs, so none offer the convenience of a single-output mode. This gives the LCT 640 TS an advantage in being usable as a perfectly conventional single-output multi-pattern mic when required, yet with the second output instantly available at the press of a button and the insertion of a dedicated output cable. I have no hesitation in saying this is a very nice microphone, building on the strengths of its sibling’s namesake, combining that model’s sophisticated and elegant electronic control functions with a high-quality capsule. Lewitt’s provision of a bespoke configuration plug-in will also be an attractive feature for many, making this microphone’s dual-outputs easier to use and comprehend. All in all, then, this is a very well-designed, practical and extremely versatile microphone. Three twin-output microphones come to mind as possible alternatives, although there may be others: the Microtech Gefell UM930 Twin (reviewed June 2008), the Pearl ELM-A (reviewed June 2011), and Sennheiser’s MKH800 Twin. All are configured to provide dual outputs permanently and cannot be used as a standard, switchable multi-pattern mic in the way that the Lewitt LCT 640 TS can. Neutral enough to make a good all-rounder of a microphone. Comprehensive filter and pad options with electronic switching. Usable as a conventional multi-pattern microphone. Dedicated second connector for use as a twin-output microphone. Shipped in strong protective case with useful accessories. Ingenious and effective pop shield included. 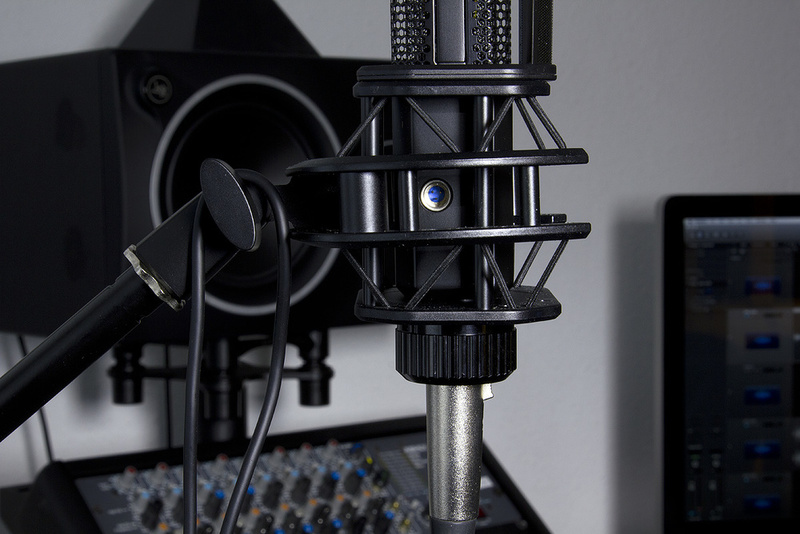 A well-made, classy and hugely versatile microphone, and at a very reasonable price! What’s not to like?